Looking for some deep moisture for your skin? Then Whipped is for you! This organic whipped body butter has a uniquely light and fluffy texture that is 100% pure moisture. No water, chemicals, or preservatives added: just organic unfiltered shea butter, organic coconut oil, organic sunflower oil, a pinch of arrowroot powder and essential oils. You work so hard to put good things in your body, so put good things on your body, too! 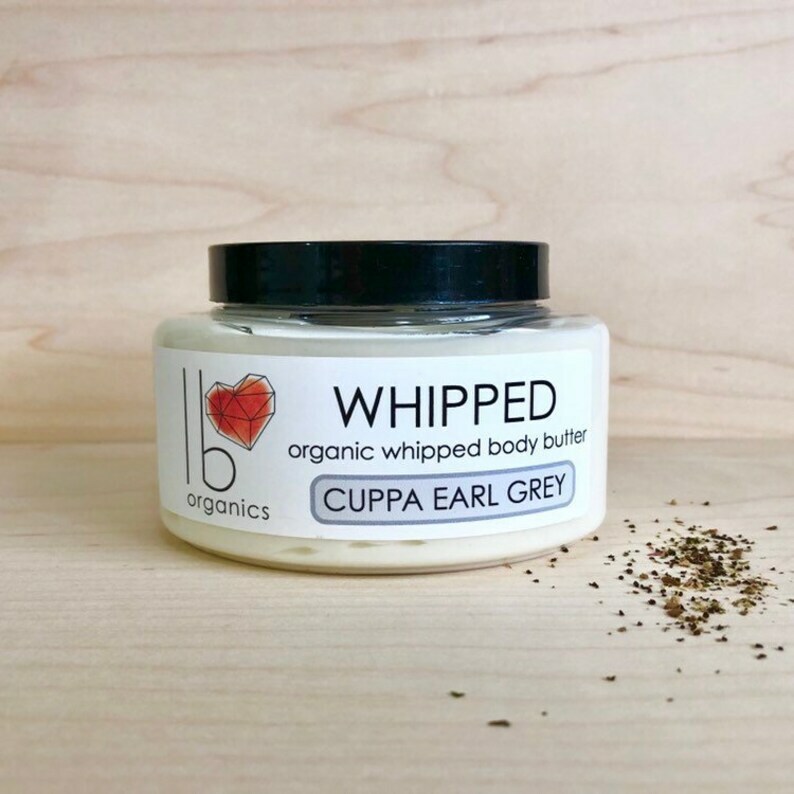 Cuppa Earl Grey is the perfect body butter for the dedicated tea lover. Bergamot combines with soft vanilla, a depth of scent from clove, and a tiny touch of lavender rounds it all out, reminding you of your favorite cuppa. We use only essential oils! NO fragrance oils of any kind, since they are chemicals, and are not health-enhancing.